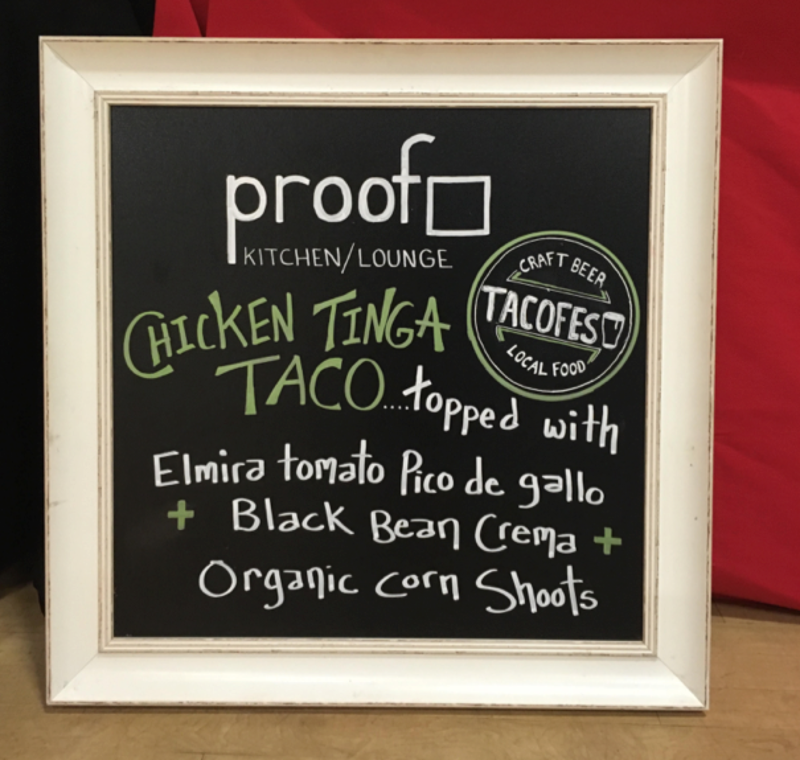 On Friday, June 16, Tacofest returned to Kitchener at THEMUSEUM for another sold out event. 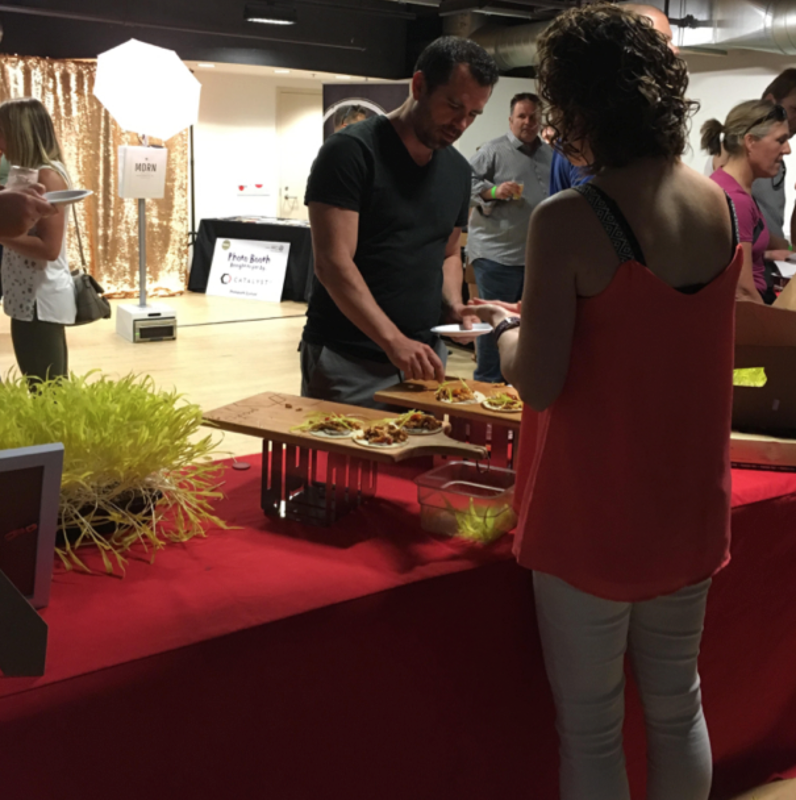 Tacofesters were all smiles and full tummies as they enjoyed all-you-can-eat tacos from 16 local restaurants and beer samples from 16 Ontario craft breweries. The event was another huge success, raising $48,000 in support of Community Support Connections: Meals on Wheels and more, a local charity that helps adults and seniors with disabilities to be able to live at home with independence and dignity. 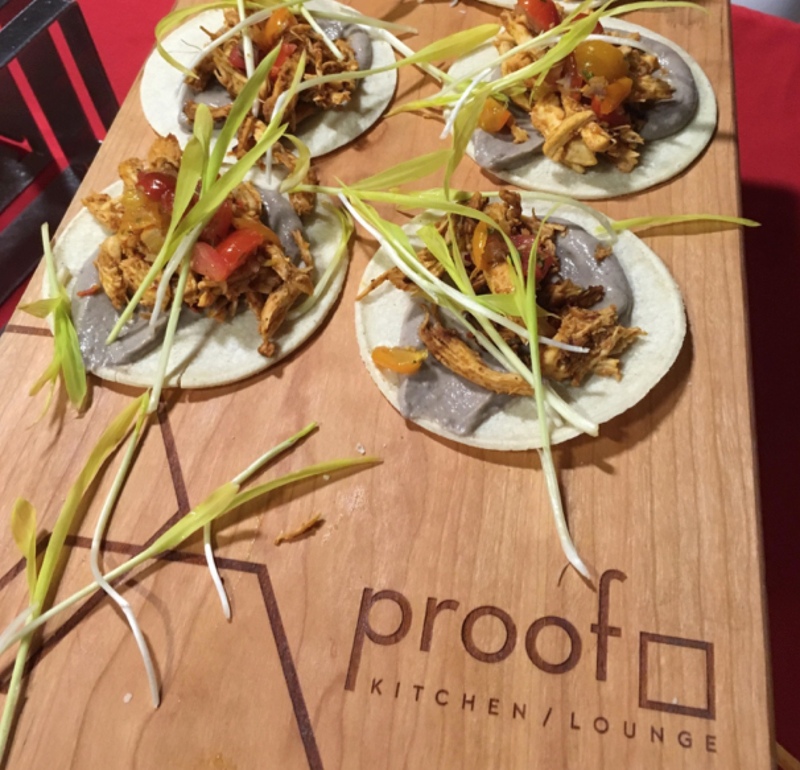 We at Proof Kitchen + Lounge were happy to be party of such a great event supporting such an amazing local charity. Driving off the success of our Chicken Tinga bowl, we merged a guest favourite into a tacos just proved to be just a big as a hit, especially those adhering to a gluten-free diet. Full of flavour, these sweet and spicy tacos were filled with wholesome, locally sourced ingredients including cherry tomatoes just 30 minutes down the road in Elmira. We pride ourselves on the connections our chefs have obtained with farmers in the Region to ensure quality and reduce environmental impacts. 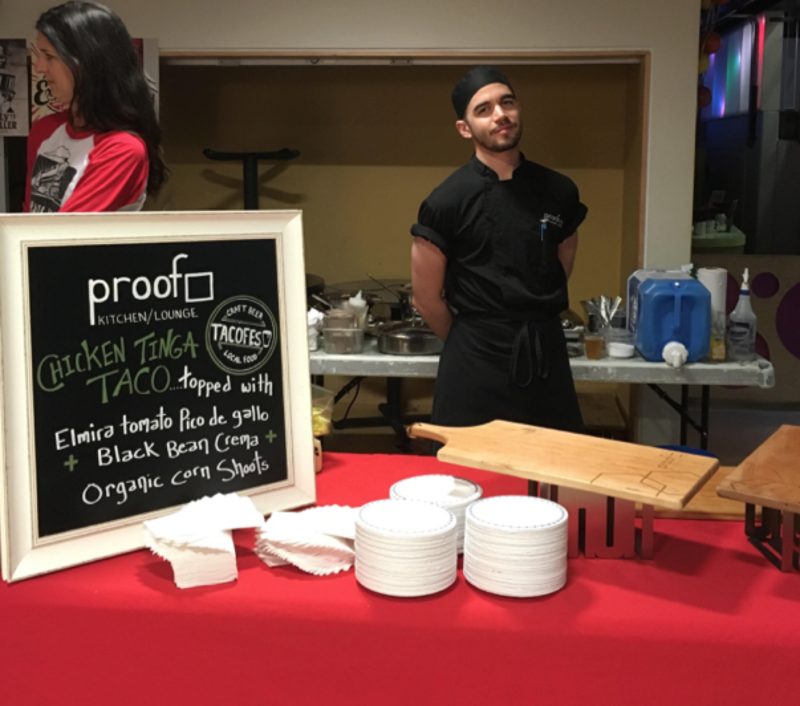 Chef Graham was on-site slinging together tacos all evening, alongside one of our managers, Meghan Gillis. Although they took the lead, my inner restaurant hostess got in on the action. I had a great time interacting with guests, and educating them on what we had to offer. Thanks to Meghan, I could articulate to people about where the ingredients came from, and why that was so important to us. Remember to unwind on our patio for Hoppy Hour at Proof Kitchen + Lounge, weekdays from 3:00 p.m. – 6:00 p.m. All craft beer pints are only $5. You don’t want to miss out on this deal. Just like summer, it won’t be around for long! If you’re not a beer drinker, our well-known signature cocktail list is sure to have something to please your palette on a warm summer day. With the success of our first Collective Cocktail Competition, we will be holding our second on Sunday, July 23. Stay tuned for more details.